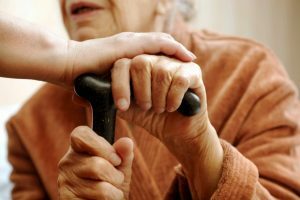 EWith the increasing proportion of people aged 65 and over, the problem of elder financial abuse is a growing concern. While the full extent in Australia is unknown, conservative estimates suggest at least 10 per cent of older Australians suffer from financial abuse each year. The surprising factor is that their adult children are most likely the perpetrators. If an older person needs some cash and can’t get out to a bank, why wouldn’t they just give their ATM card to their son or daughter and ask them to make a withdrawal on their behalf? Or if they need some shopping, they think it natural to give some money to a son or daughter and ask them to pick up a few extra groceries. Briony Dow of the National Ageing Research Institute and the University of Melbourne says that when adult children abuse their parents, feelings of parental love and responsibility coupled with shame and guilt for having “failed” as a parent often stop the parent from seeking help and protecting themselves. Few parents would want to report their son or daughter to the police. Enduring powers of attorney, which take effect once a person loses capacity, are the “wild west” says Herd. Jessica Barker, a solicitor with Elringtons Lawyers says it is often where parents appoint their children to be their attorney and/or guardian that there is confusion around whether an attorney is acting in the parent’s best interest – despite there being clear guidelines available. Unfortunately, the rise of the “inheritance impatience syndrome” seems to be increasing the confusion that some adult children are experiencing about how best to act as their parent’s attorney, she says. There is often some urgency in these situations and a whole lot of issues need addressing – such as whether an attorney has previously been appointed, whether the person has capacity and ability to understand the nature of the document, the person’s relationship with their chosen attorney(s), advising on the person’s rights and responsibilities and the risks involved in making the appointment. At the very least, once it has your signature on it, this important document provides that nominated person with instant access to your bank accounts. The enduring power of attorney document also hands over the “power” for them to sell your house or shares or any other assets. The SMSF Association (with 47 per cent of its members aged 60 or older) supports a recommendation from the Australian Law Reform Commission to change the superannuation laws to ensure that trustees plan for the loss of capacity to an SMSF trustee as part of the fund’s investment strategy and that the Australian Tax Office is told when an individual becomes an SMSF trustee through an enduring power of attorney.